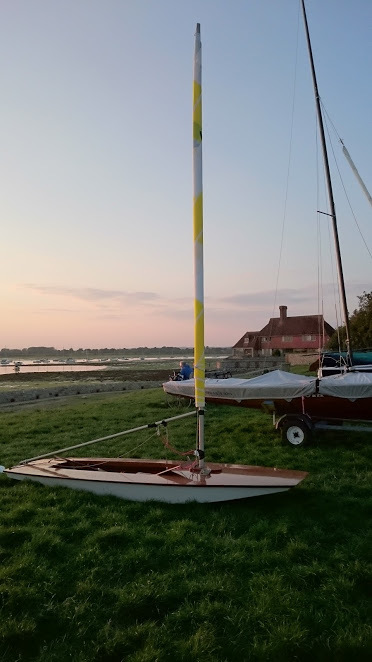 The 2018 Classic Boat Revival hosted by Bosham SC was combined with the 100th anniversary of the birth of Ian Proctor, renowned boat designer and sailor. Boats of many classes came from far and wide, including the first Topper, various Ospreys, Wayfarers, Bosun nr 1, Gul nr 1, Tempests, Wanderers, a Mini Sail and so on. Genevieve was present as the first fibreglass National 18, which was designed by Ian Proctor. 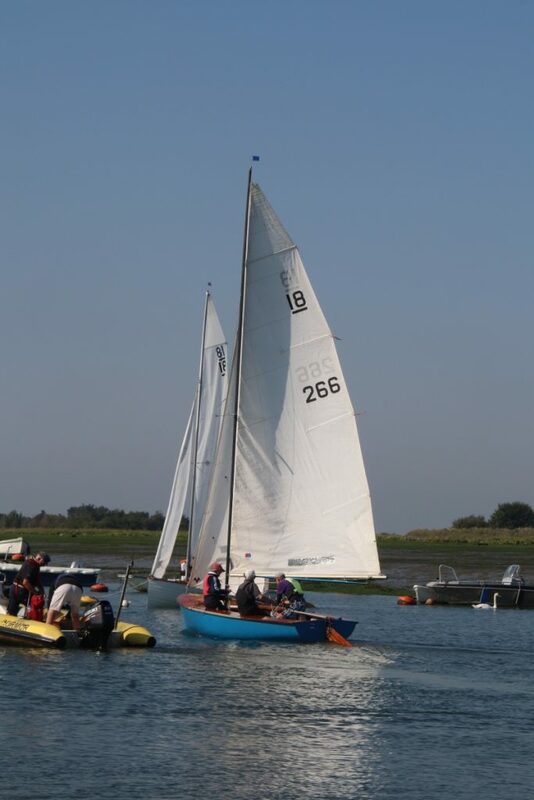 She was the only plastic National 18 competing – the other 18s were all clinker built. 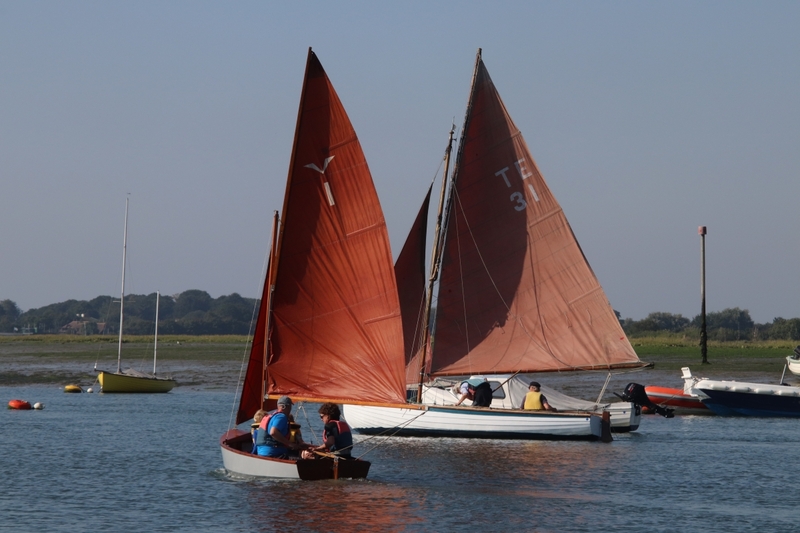 Three Tamesis boats attended – National 18′ Genevieve sailed by Jeremy Vines, Max Vines, Carolyne Vines and Stewart Colley, and two merlins Jabberwocky sailed by Dana Church and Jenny and Emmeline sailed by Tim Medcalf and friend. Genevieve was 15th overall and Jabberwocky 19th. Emmeline was sadly involved in a collision and retired after the second race. Over 100 guests sat down for the Ian Proctor Centenary dinner on Friday night. The speech by Ian’s son was a real eye opener to his father’s considerable talent. Our thanks go to Andrew Young for such fantastic organisation over the weekend.